The Morristown & Erie Railway's mechanical shop, located just 33 miles from New York City in Morristown, NJ, hosts a full-time mechanical staff with expertise in repairing, maintaining, and rebuilding private passenger cars of every vintage and manufacturer. The M&E has the ability to perform everything from routine maintenance to a complete ground-up rebuild at its Morristown shop. Cars can be retrofitted with generators, new plumbing, HEP and MU/COMM cables and plugs, or any of a number of other upgrades and modernizations. 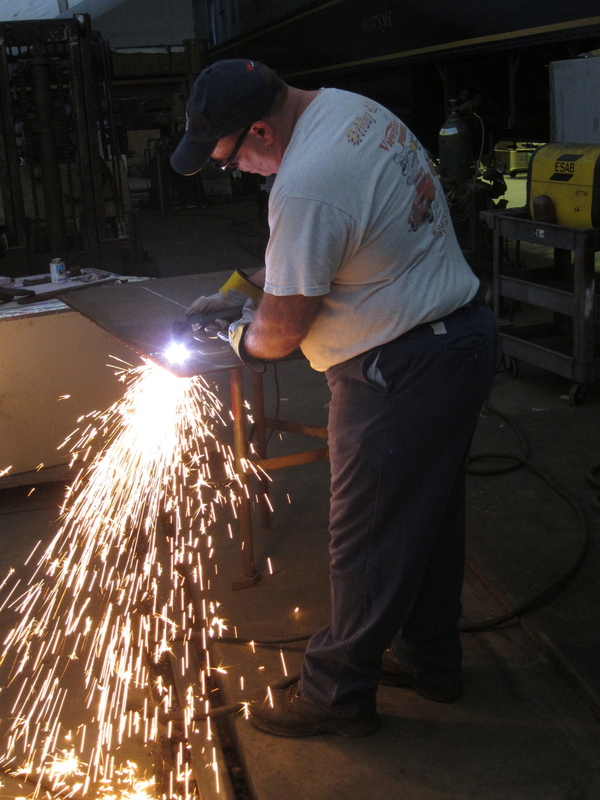 Skilled welders and fabricators are on staff to repair or replace even the oldest steel and stainless steel components. The M&E commonly performs truck rollouts, tear downs, and rebuilds at Morristown. Existing trucks can be refitted with new bearings, wheelsets, and brake equipment. The M&E’s mechanical forces often perform contract work for other private car owners, railroad equipment lessors, and railroad historical societies, in addition to maintaining the M&E’s own passenger car fleet. All of the Morristown & Erie’s passenger car repairs are undertaken in compliance with Amtrak private car requirements and certifications. The M&E has a direct connection with Amtrak in Kearny, NJ, allowing the seamless one-day transfer of private cars to and from Amtrak’s Sunnyside Yard in Queens, NY without the need for a freight move. Contact Chuck Jensen at 973-267-4300 or at cjensen@merail.com today to discuss your railcar rebuilding project.